Lindsey died on July 16th, 2012. After investigating Lindsey's death for more than 4 years the BC Coroner's Office has denied an inquest into his death. We are appealing that decision. We are continuously working on raising awareness as Lindsey's tragic death was preventable and is not an isolated case. This type of negligence in supported housing and how folks with addictions/mental health issues are treated in hospitals is unjust and appalling and must stop. To do that changes must be made to the system. We are seeking regulations and a standard of care to be put in place for any type of government funded supported housing program. So for example, 24 hour wellness checks would be a standard policy of every housing program. Lindsey's mom created a program that will help people look out for each other while living in supported housing. As of November, 2018, this program is being piloted in Vancouver, BC. Hospitals need to put a standardized consent in the admissions form that will allow an emergency contact be contacted if that person's illness/situation is life-threatening and they leave the hospital without warning. These changes would save many lives. Lindsey's life could have been one of those saved by having these simple, effective standard practices in place. 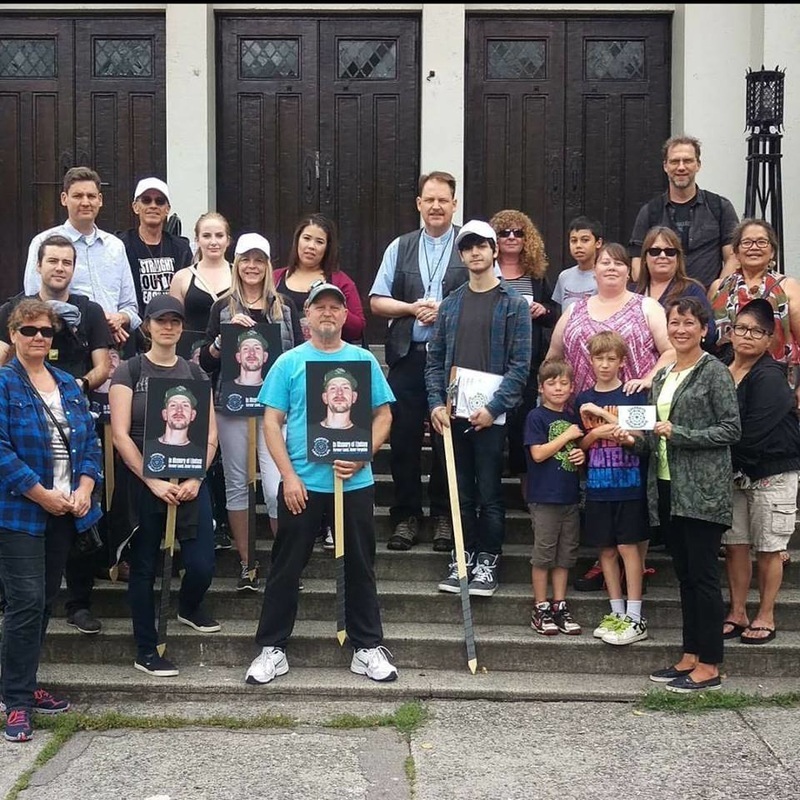 Every year on Lindsey's death date July 16th, we his friends and family gather in the Downtown Eastside of Vancouver to provide a lunch to some of the community in Lindsey's name and memory. The first year 2013, we handed out 100 sandwiches, fruit and water. The next year 2014, we gave out 500 sandwiches, fruit and water. In 2015, we had a BBQ in Victory Square and gave hotdogs, potato salad, fruit and water to 800 people. In July, 2016 , we had a BBQ in Victory Square, and provided hamburgers, potato salad, fruit and water for 1000 people. On July 16, 2017 and 2018, the BBQ welcomed approximately 800 people each year. Again, BBQ hamburgers and potato salad, grapes and water were served. What an honour it is for Lindsey's Mom to be able to be with the wonderful people that live in this community on what is a very painful day. It's such a privilege to be able to listen to their stories of the struggles they have faced and the victories they have achieved! Some of the folks knew Lindsey and share their memories with his Mom, the ones that didn't share their love and condolences. An absolutely beautiful way to spend a very sad day. Our goal is to provide a nourishing meal and time for building community, every year on July 16th.